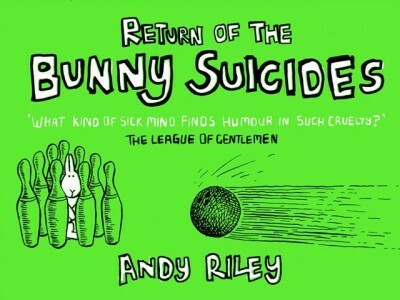 This sequel to the first Bunny Suicide book was originally published in 2004. It’s got another load of rabbits killing themselves in entertaining fashion. Anyone whose eyes weren’t burned out by the orange jacket of the first book got them violently assaulted by the lime green of this one.